Welcome, Welcome, Welcome summer! This is the time of the year when finally we got to say goodbye to short winter season and greet long summer and amazing spring breeze. Spring summer season is considered as the middle of winter and summer, hence brings cool, soft breeze along with it. In this season everything seems fresh and healthy, so why not your clothes? Clothing varies season to season, just like styles vary by the time. Every new day is a day of some new collection or styles. Ever since the trend of designer wear is introduced to people, it has amused the eyes of everyone. Recently various designer brands have launched their newer collections for the season of spring-summer; Origins is also one of them. Origins has launched its amazing spring summer collection recently. Origins is a dominant fashion house known for its high class and unique pet wear or ready to wear clothing line. The brand is working nationwide as well as has its branches in UAE and Sharjah. The unique and amazing factors of Origins clothing is the reason it has become so popular among fashion lover Asian ladies, living even far away from their country. Origins have cheered the greetings of this season with its “Four line, One collection” that means one can get four dress lines in single dress collection. This collection consist of 50 designs. It includes stunning prints, block prints, and chicken karidar prints are used to give the dresses a formal wear. Origins spring summer collection 2015 is adorned with finest features, lavish shades, and opulence prints. In block prints, one can see the elegant and classy range of block prints that will leave a long lasting impression on your persona. This collection is designed in an oriental way with modern fashion theme along. From decades, in India and Pakistan chicken karadar work is very popular that has once again brought by Origins in its Origins spring summer collection 2015. These dresses are designed through a thread chicken embroidery. The assortment consists of Ready To Wear Dresses, Kurtis, Long shirts, medium length shirts with tights, kurtas and many more. 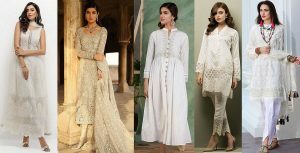 One might be thinking that how these ancient style dresses would be looking but you won’t believe your eyes when you will see how beautifully these dresses are managed with high ends of modernity. Casual to chic, all sort of sophisticated dresses is available in this collection. This collection is now available in stores nationwide and in its international branches. You may get to have a look on these dresses via following images, to make it easy section for yourself.